Adults; Treatment of first episode (primary or nonprimary) genital herpes and the management of recurrent episodes of genital herpes in certain patients. Treatment of acute attacks of Herpes zoster (shingles) when the duration of rashrash is less than 72 hours. The management of patients with advanced symptomatic HIV disease (CD4+ counts <150 x 10 6/L). Genital Herpes Initial episodes. The duration of viral shedding is reduced very significantly; the duration of pain and time to healing are also reduced. The promptness of initiation of therapy and/or the patient's prior exposure to Herpes simplex virus may influence the degree of benefit from therapy. Intravenous aciclovir should be considered in patients in whom prostration, CNS involvement or inability to take oral medication requires hospitalisation and initiation or more aggressive management. Aciclovir does not prevent the establishment of latency in initial episodes.,Recurrent episodes. Suppression. In patients with frequent recurrences, suppressive therapy prevents or reduces the frequency and/or severity of recurrences in a high proportion of patients. Abortive episodes (prodromal symptoms without vesicle formation) and occasional breakthrough episodes may, however, continue to occur during suppressive therapy. Suppressive therapy is not considered appropriate for patients in whom attacks are mild, last short periods and/or occur infrequently (e.g. less frequently than once a month). 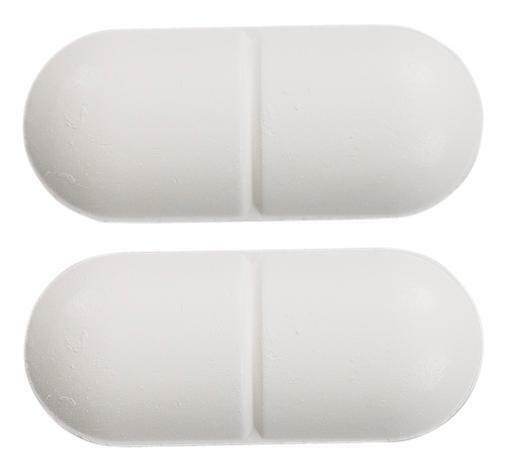 Aciclovir is effective only during the period of intake and has no residual beneficial effect. It does not eradicate the body viral pool. Following cessation of therapy, the time to onset of recurrences, their frequency, severity and duration remain generally unaffected. Some patients may experience increased severity of the first episode following cessation of therapy. The risk of inducing viral resistance and of potential long-term adverse effects (see Precautions, Carcinogenesis, mutagenesis and impairment of fertility) should be weighed carefully before initiating suppressive therapy. Asymptomatic cases of genital herpes are known to shed the virus with a high frequency. However, at present only limited data are available on the extent and frequency of viral shedding in patients receiving suppressive therapy. Therefore, if therapy with Aciclovir tablets is being used in prenatal period (See Precautions, Use in pregnancy), it should not be assumed that viral shedding has ceased. Pregnancy should be managed according to considerations normally applicable to patients with genital herpes. In view of the complex and variable natural history of genital herpes, suppressive therapy should be interrupted periodically to ascertain whether the disease has undergone spontaneous change in frequency or severity (see Dosage and Administration). Intermittent treatment. For certain patients, intermittent short-term treatment of recurrences is effective. Although the average patients would derive limited benefits from such treatment, a minority of patients who have experienced severe, prolonged recurrent episodes or recurrences complicated by eczema, burns or immunosuppression may experience more appreciable benefits. In those patients, intermittent treatment may be more appropriate than suppressive therapy when recurrences are infrequent. Herpes zoster. In controlled trials aciclovir tablets were shown to reduce acute pain and rash progression in adult patients of all ages with herpes zoster in whom the duration of rash was less than 72 hours. Aciclovir tablets appeared to be relatively less effective in younger adults, in whom Herpes zoster is generally a milder disease. In ophthalmic zoster, oral aciclovir has been shown to reduce the incidence of stromal keratitis and both the incidence and severity of anterior uveitis, but not other ocular complications or acute pain. Note. In immunocompetent patients with very severe Herpes zoster, immunocompromised patients, or in patients with impaired absorption from the gut, consideration should be given to intravenous dosing. Advanced symptomatic HIV disease. Studies have shown that oral aciclovir reduced mortality in patients with advanced HIV disease (CD4+ count < 150 x 10 6/L). In addition, oral aciclovir provided effective prophylaxis for herpes virus disease. No significant effect was seen on the prophylaxis of cytomegalovirus (CMV) disease or Epstein-Barr virus (EBV) disease. 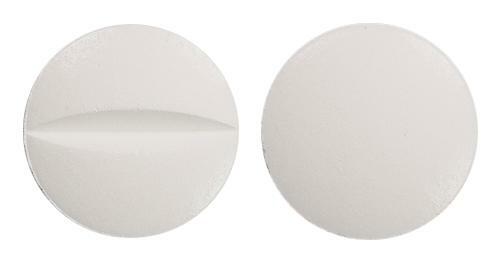 White, oblong, uncoated, biconvex tablets with break-line on both sides. 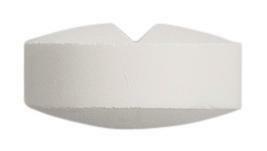 White, round, uncoated, biconvex tablets with break-line on one side. For the purpose of promoting resolution of acute clinical manifestations of mucocutaneous Herpes simplex virus infections in immune compromised patients. Treatment of severe first episode primary or nonprimary genital herpes in immune competent patients. Treatment of acute manifestations of Varicella zoster virus infection in immunocompromised patients. Treatment of shingles (Herpes zoster virus infection) in immune competent patients who show very severe acute local or systemic manifestations of the disease. Benefits can be expected in patients with rashrash duration shorter than 72 hours. The use of the intravenous infusion may be warranted in only a small subgroup of immune competent patients with shingles. Treatment of Herpes simplex encephalitis.